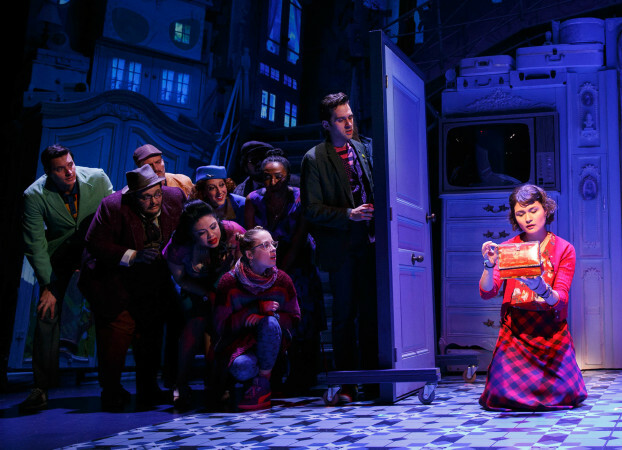 As dainty and delectable as a well-cooked soufflé, the new stage musical Amélie is a feather-light confection of pure charm. Based on the affectionately remembered 2001 film, Amélie focuses on a sweet young woman who seeks only the happiness of others. 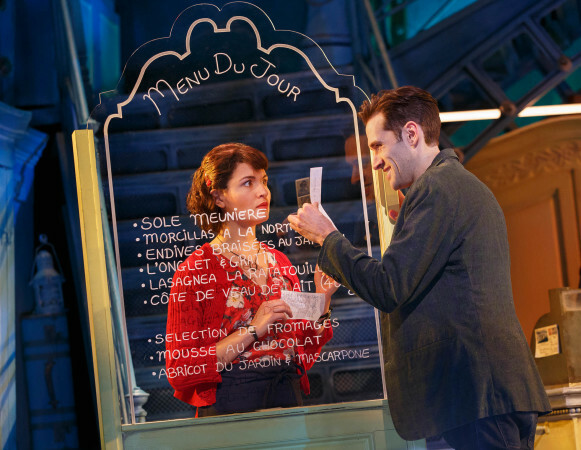 In a perfect match of material and star, Phillipa Soo takes on the title role of the selfless waitress. Soo not only brings a legion of fans from her high profile role on Hamilton, but also has the perfect combination of natural beauty and delicate vulnerability to bring the character to life. All this, plus she is a truly lovely singer. The musical is something of a departure from the usual high voltage Broadway fare, being far gentler in tone and pace. It comes as little surprise that the composers are basically new to Broadway. Daniel Messé (music) and Nathan Tysen (lyrics, with Messé) have crafted a gorgeous set of lilting melodies that are highly enjoyable at first listen. There are a number of ballads, but most of the songs involve most or all of the ensemble cast in some way, and flow very organically from the succinct book scenes. 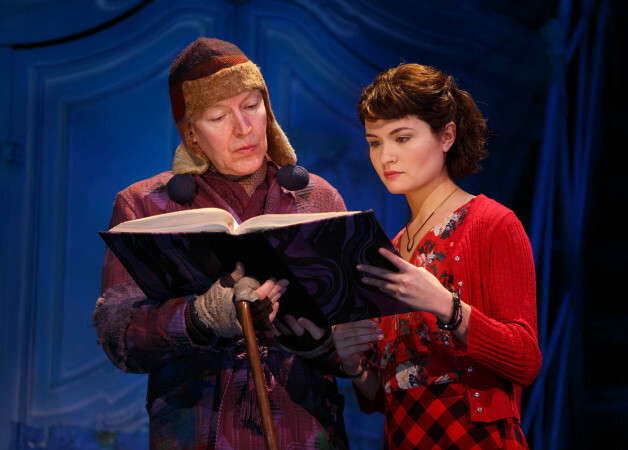 Acclaimed director Pam MacKinnon helms her first musical with Amélie; her significant experience with plays showing in the way that all 13 members of the company play a distinct character, as opposed to the typical Broadway concept of a generic chorus. Craig Lucas’ book follows the characters and plot of the movie, with the musical theatre form well suited to the generous sprinklings of magic throughout the story. David Zinn contributes both scenic and costume design, with animated projections (Peter Nigrini) also playing a key role in the design. 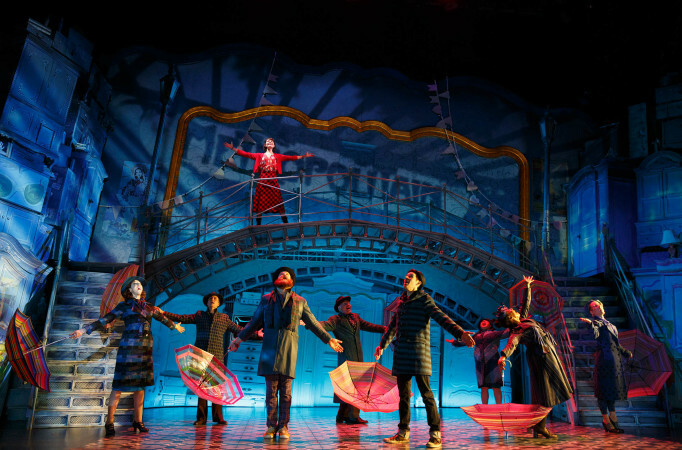 With the scenic elements, projections and lights in almost constant motion, watching the show is like turning the pages of a beautifully illustrated children’s picture book. Zinn’s costumes are not only highly attractive, but also vital in creating the two-three roles that most cast members play. The musical begins with a prologue showing snippets from the sheltered childhood of young Amélie (played, at this performance, by winsome actress Savvy Crawford). Amélie’s parents believe she is unwell, and her father becomes even more protective after her mother suffers a sudden tragic fate. 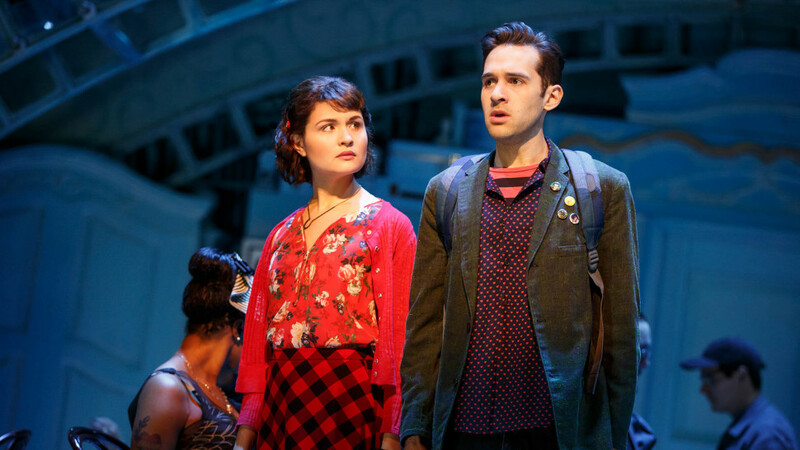 Rising star Adam Chanler-Berat as Amélie’s love interest Nino, the mysterious photographer/collector of photos. Unlike the stereotypical Broadway hunk, Chanler-Berat has a relaxed, individual style that is very well suited to the role. Chanler-Berat and Soo display warm chemistry, their portrayal of the romantic relationship aided greatly by its very slow burn. Amélie does not even think of love for herself until late in the show, allowing the pairing to end with “Where Do We Go From Here?” rather than fully completing the story of their union. The quirky characters played by the ensemble cast call for a pleasing range of diversity in age, nationality and body type. The 100-minute show (without interval) runs like a movie, with plenty of opportunities for the cast to play featured roles along the way. Tony Sheldon shows characteristic flair in establishing a pair of contrasting characters. His role as Amélie’s neighbour Dufayel, a sensitive painter, is particularly affecting. Amélie is a lightweight affair, but its message of pursuing human connections remains a salient one. 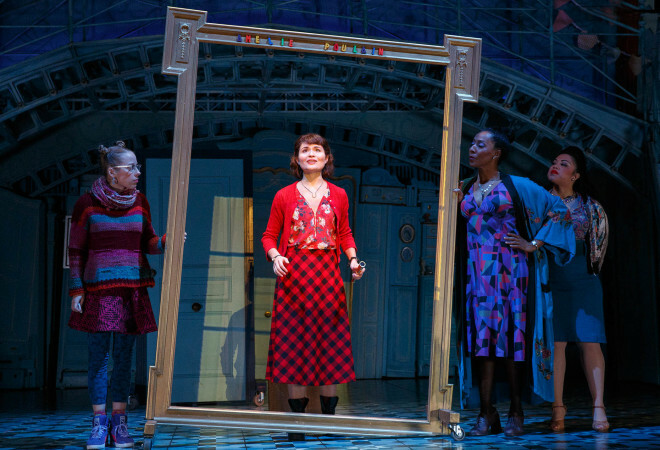 Amélie was reviewed 3pm Sunday 9 April 2017 at Walter Kerr Theatre, New York.